Malawi Professional Boxing Control Board President Lonzoe ‘Defector’ Zimba, has assured the sports’ fraternity that he will not resign on his post despite winning the Democratic Progressive Party primary elections to compete as a Member of Parliament. Zimba has won the race to compete in the May 19 polls as an MP for Mchinji East Constituency in the Central Region, and says the Malawi Professional Boxing Control Board and African Boxing Union (ABU) does not deter members from participating in politics. He told a leading Newspaper in the country that: “The good thing with Malawi Professional Boxing Control Board and African Boxing Union (ABU) rules is that they do not bar officials from being active politicians. I also serve in ABU board, so there is no problem,” he said. He also added that the fact that he has joined politics will make the contribution to boxing and all sporting activities even better. “Joining politics will help me serve the game better because I will be championing policies to promote boxing in particular and sports in general. 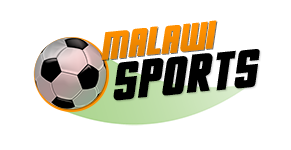 It is my dream that Malawi should produce a world champion soon and I will strive to do so,” he said. Meanwhile, Zimba has gained popularity in Mchinji over the years for his kind gesture he shows to the people from the Mchinji constituency. He revealed to the Paper that he makes maize donations to the community every December, which is his birth month. “I donate maize to people in this constituency to celebrate my birthday in December every year. However, this time I waited a bit due to logistical requirements. I have now fulfilled what I always do and it feels good to share what I have with community members,” he said.